Mango, the king of fruits and favorite of many. My lil one is a mango fanatic. Last month i made some mango cupcakes for my friend's bday. He loved the color and taste of them, bright sunny yellow and yumm mango taste. He was pestering me to make some more mango cupcakes from that time on. Last week i got some tinned mango puree and it was sitting on my counter for more than 10 days. This diwali, i didn't make any sweets or snacks, usually i used to make few sweets and snacks to distribute amongst friends. Though i got some gift boxes from sweet shops for my neighbours, i couldnt do the same for my family friends. I decided to make 2 quickie treats for our get together during the Diwali weekend. At the same time, i wanted to cook something colorful for this week's BM theme : Colorful dishes. 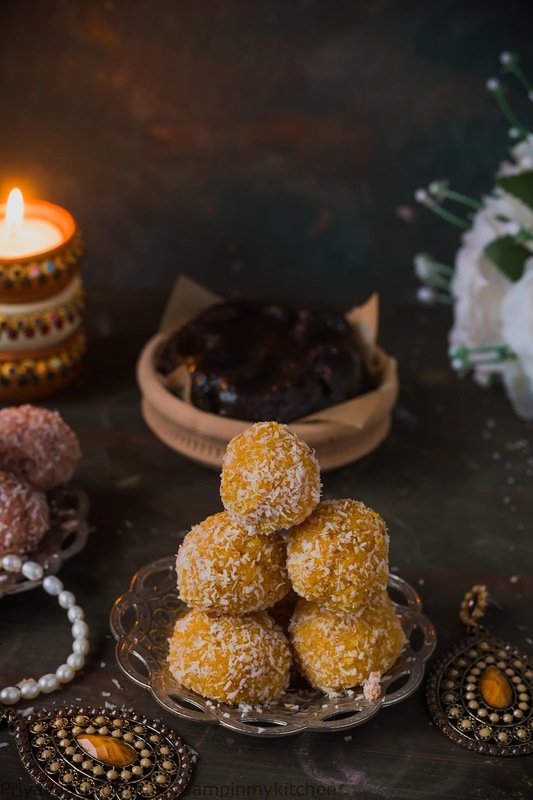 I remembered bookmarking sandhya's Mango coconut ladoo and with my love for them, i couldn't resist my urge to roll a ladoo with yumm mangoes! These ladoos gets done in 20 minutes. I got around 30 ladoos, the amount depends on the size you are going to make. These are perfect for gifting, as they are easy to make and great on taste. i have received postive comments from my friends that the ladoos are out of the world, i also made a gulkand rose ladoo along with this for them. 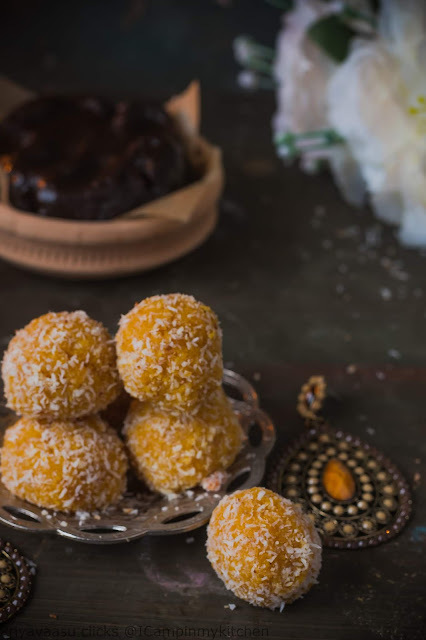 Do try this yumm and colorful mango ladoo for your next celebrations. Heat a wide pan, measure 1 tbsp ghee, add the coconut to it and roast until the raw smell dissappears. You dont have to roast it until golden brown. Toast it for 2-3 minutes in a medium flame. To this now add mango puree, condensed milk and pounded cardamom. Keep the flame medium and stir the mixture frequently. Once the mixture comes together as a mass, take it off the stove and let it cool. Once it comes down and is warm to touch, divide the mixture into small balls and roll it in your palms. Roll the ladoos, on dessicated coconut and set aside. Rolling in dessicated coconut is optional, but gives a nice look to the ladoos. Store them in an air-tight box in the refrigerator, i didnt want to keep them outside as it is made of coconut. 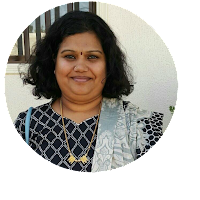 I remember Sandhya's mango coconut laddu and yours have turned out very equally good. A good one for this week's theme. Mango coconut ladoo have turned out so good. Have tried carrot coconut ladoo, will try with mango soon. Such pretty looking laddoo. 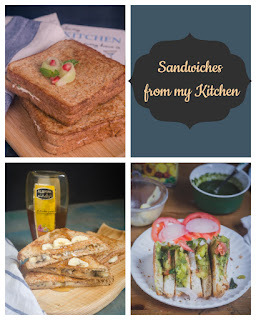 Love that you used canned mango puree to make them. Will have to try these some time. Very flavorful laddus. I have all the items in my pantry but I will wait for an occasion to make these delightful laddus. 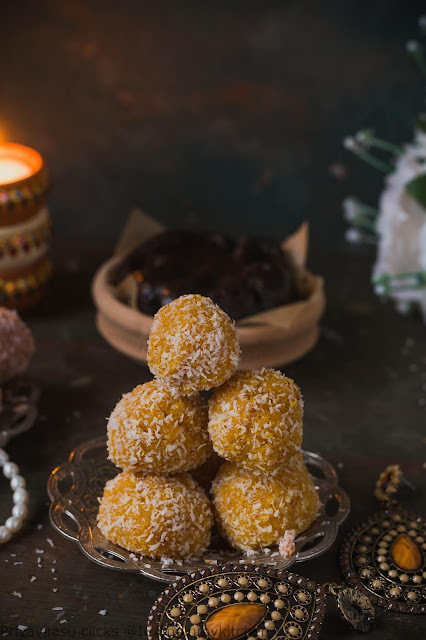 Oh my these ladoos do look scrumptious. Though I am not a fan of mangoes my daughter will love these delicious bites! 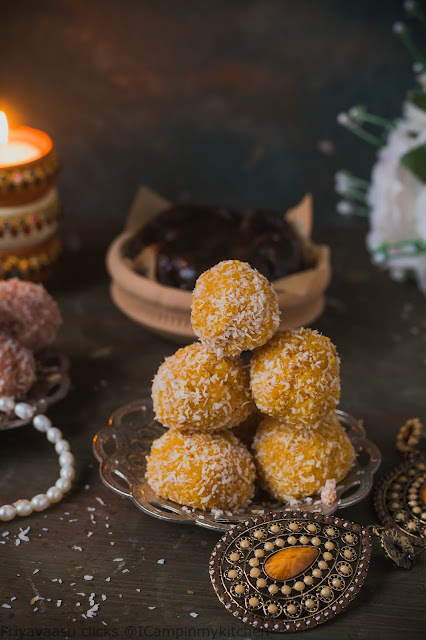 Mango and coconut whatelse we need, those laddoos looks incredible terrific and quite irresistible. Wow! These are such tempting treats for mango lovers. Next mango season, I am trying this for my mango fanatic daughter. 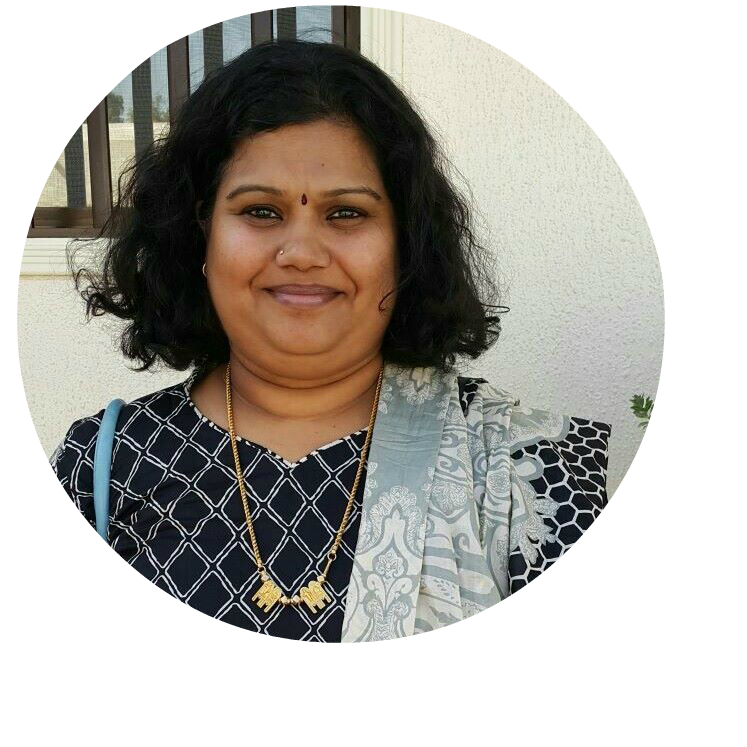 Wow looks amazing Priya, mango and in this season? I think the regular ripe mangoes are the only fruits that don't make an appearance in off season in our markets now..though I find the killimuku manga in the market. These ladoos are so sinful yaar! mango coconut laddus looks so so so tempting and I am really tempted to grab some now. Loved the click and all set up. Not yet made coconut laddu with mangi, surely gonna make it. By the way Loved these earrings.